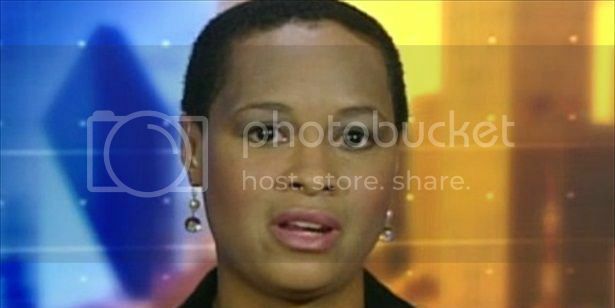 Meteorologist Rhonda Lee was terminated from her position at a Shreveport, Louisiana television station for responding to a viewer's insensitive comments about her hair on Facebook. Here are details of the exchange. On Oct. 1, a viewer identified as Emmitt Vascocu wrote, "the black lady that does the news is a very nice lady.the only thing is she needs to wear a wig or grow some more hair. im not sure if she is a cancer patient. but still its not something myself that i think looks good on tv. what about letting someone a male have waist long hair do the news.what about that (cq)." Lee replied the same day, "Hello Emmitt--I am the 'black lady' to which you are referring. I'm sorry you don't like my ethnic hair. And no I don't have cancer. I'm a non-smoking, 5'3, 121 lbs, 25 mile a week running, 37.5 year old woman, and I'm in perfectly healthy physical condition. "I am very proud of my African-American ancestry which includes my hair. For your edification: traditionally our hair doesn't grow downward. It grows upward. Many Black women use strong straightening agents in order to achieve a more European grade of hair and that is their choice. However in my case I don't find it necessary. I'm very proud of who I am and the standard of beauty I display. Women come in all shapes, sizes, nationalities, and levels of beauty. Showing little girls that being comfortable in the skin and HAIR God gave me is my contribution to society. Little girls (and boys for that matter) need to see that what you look like isn't a reason to not achieve their goals. "Conforming to one standard isn't what being American is about and I hope you can embrace that. "Thank you for your comment and have a great weekend and thank for watching." Not only did the station not offer Lee support like that given this Wisconsin television reporter after she was taunted about her weight, Lee says the station's general manager and news director fired her for violating social media policy that was never placed in writing. The firing was clearly illegitimate, but Rhonda Lee committed a revolutionary act, albeit a small one. She had two options in this situation: ignore the criticism, or address it. She chose the latter. But even that was too much for the station which expected her to turn the other cheek. You see, it is actually company policy that a measured, articulate defense of your cultural ancestry is inappropriate if it is presented in the wrong platform -- the wrong platform being any platform ever. The predicament exemplifies life as a black woman. No decision is legitimate because we're not allowed to feel. We're "strong," so we should be able to handle it all, and when we bend in either direction, we are weak or angry--never human. Black women have no real options in handling the biased words and actions we face daily. Society places the onus on us to prove racist (or sexist) intent, so we gracefully take the lashings. But when we continually dismiss ignorant comments where does that leave us? While we contend with the self-doubt and frustration racial innuendos leave behind, the perpetrators of microaggressions remain empowered in their privilege. Picking our battles means we allow whites the continued privilege of trampling on our rights not to be victimized. The man who addressed Lee not only had these thoughts but felt entitled to say them, while demonstrating no command of the English language, publicly. Ms. Lee is a warrior for black women who endure pointed, frustrating questions about our hair, culture,and bodies endlessly, and she took up the fight while maintaining remarkable composure. When attacked, we often keep quiet out of fear -- an understandable fear that striking back in any way will cost us our livelihoods. Of course, no one will blame you ignoring racism in order to keep your job. That's not cowardice; that is self-preservation. But why shrink away from battles that will cost you nothing? Instead of questioning the audacity of those who perpetuate racism without hesitation, Audre Lorde said it well, "We’ve been taught that silence would save us, but it won’t." Your silence will not protect your sanity, your pride, your heart nor your spirit. Keeping quiet about overt ignorance only reinforces its presence in our culture. I've come to realize that, as a black woman, everything about my existence will be questioned. I will have to continually assert my worthiness and my womanhood, and that is an daunting task. Of course it would be easier to dismiss the foolishness. My blood pressure and my faith in humanity would benefit greatly, but I also know that if some of us won't draw a line in the sand, we can expect the same treatment indefinitely. I'm simply unwilling to concede my dignity. Who will defend a black woman? Others may join in the fight, but we will have to do it ourselves. Kimberly Foster is the editor and founder of For Harriet. Email or Tweet her.